It’s been a wild few weeks in the markets, some people are surprised, while some are concerned. Some people will be proactive, and others will be reactive. What should you do? First, tune out the noise! The media will beat the fear drum, they always do. This makes sound decision making difficult and allows emotions to take over to the detriment of investors. I don’t know what is going to happen tomorrow, over the next few months, or even if markets will continue to decline. We may be headed for a crash or the long-running rally could continue after the mid-term elections. What I do know is that markets will eventually go down and they may stay down for a while! In fact, markets go down about once in every five-year period, and in every ten-year period, that decline can be a doozy! * History shows, if we’re paying attention, that the markets have historically come back; having patience and adhering to a plan will prove to be the best course towards achieving your investing goals. So here are some of the issues that we believe are relevant to retirees or soon to be retirees. Focus on the stuff that you are directly in control of your money, how it’s invested, and your need for income from your savings. All of our clients and prospective clients should first and foremost be thinking about and planning for their income needs. In particular, they should be thinking about the amount of money they will need to take out from their investments or will be required to take out of their investments due to Required Minimum Distributions, over the next 2 -3 years. So, let’s say you must take out $25,000 from your investments each year. We would recommend having $50,000 - $75,000 (2 to 3 years’ worth) in what we call an “income bucket”. This income bucket will be very conservatively invested, in cash or some other type of highly liquid investments, so that you can withdraw that money without having to sell any of your portfolio while it is down significantly in value. The benefit of this being that regardless of the markets being up or down, your income is stable, and most importantly you’re not forced to sell any of your investments at a loss. This is a very important risk management tool as the math shows that getting back to even after locking in such a loss is not in your favor. The key to this strategy is to not let the income bucket run out; it should be refilled from your other investments at optimal times, preferably when markets are up. This is one proactive and simple strategy we use to help our clients, and it proves to be beneficial on both an emotional and financial front. The second issue people should be thinking of is deciding whether their asset allocation is appropriate for them. Asset Allocation is simply the percentage amount you have in cash, stock, and bonds. The decision you make around your asset allocation is the single most important decision you will make in your income and investment strategy. As such, you want to be confident that this mix of investments will help you realize your life goals while still allowing you to sleep at night. In addition, knowing your asset allocation will help you understand within a reasonable range how much of a decline you should expect in both normal and extreme market downturns. Having this knowledge means that when markets turn down, there is no surprise, and no surprise means no panic. As a result of not panicking, an investor can make much better financial decisions for themselves. Lastly, you should be reviewing your allocation to stocks, bonds, and cash periodically to see if you have moved away from your long-term targets. For example, you’ve decided that in order to accomplish your goals and sleep at night you need to be in a portfolio of 60% stocks & 40% bonds. If after reviewing your current allocation, you see that it is off by anything more than 10% (e.g. 71% stocks and 29% bonds), the account needs to be rebalanced and brought back to your original targets of 60% stocks & 40% bonds. The following example should illustrate how to do this, as well as the difficulty in doing this. Think back to 2008 when stock markets around the world were plummeting. It was very easy for your stock allocation to become less than the 60% target that you decided you wanted & needed. Rebalancing at that point in time required the selling of bonds and the buying of stocks (which were going down in value) to bring the portfolio back in alignment with its long-term target of 60% stocks and 40% bonds. Now it may have felt counter-intuitive in 2008 to be buying more stock! If you think about it conceptually, however, it’s what every investor wants to do: sell high and buy low. If you look back, buying stocks to rebalance your portfolio during the bear market of 2008 – 2009 may have proven to be a very good decision. While this sounds simple in concept, simple is never easy when it comes to your money. The current volatility is the markets doing what markets do. We have seen this before and we will see it again. 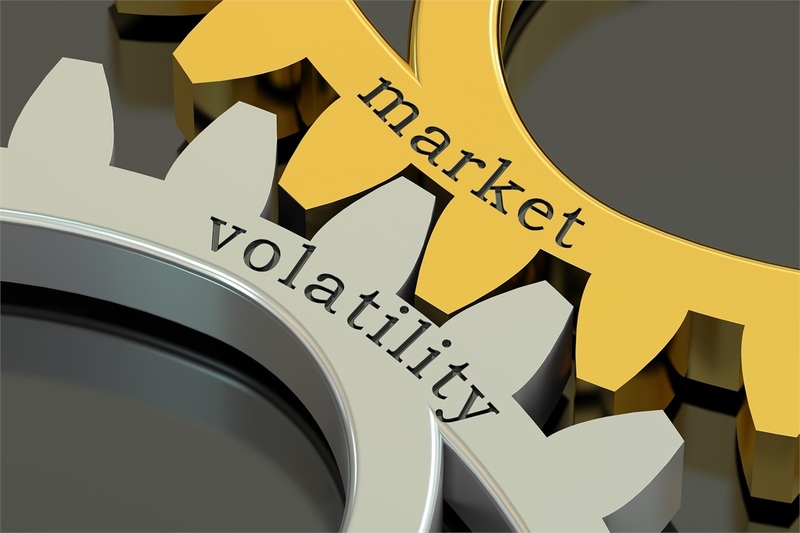 If you have a plan in place that incorporates an income bucket, has a well thought-out asset allocation decision, and has a mechanism in place to rebalance, the current volatility may very well be an emotional event, but it shouldn’t become a financial event. In our upcoming book “Income for Life” A Retirees Guide to Creating Income from Savings – we outline an evidence-based approach to converting your savings to an income for life. Look for it sometime in the 1st quarter of 2019.